In dealing with Czech offices, you may need documents officially translated by a verified interpreter and translator who must provide the necessary round stamp. IRSczech.com will help you ensure official translation for any language you need! In the case of a certified translation, you must submit an original document or a notarial verification (a copy of a notarised document - in this case the original remains intact and the copy is bound together with the translation). Contact us if you want to get a translation for your document. Why make a notarial verification? When the translation is verified, the original document must be associated with the translation. That's why we do not recommend providing an original document that you might need in the future. 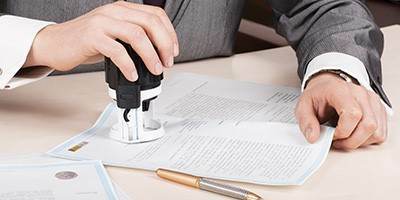 We can provide foreigners with a notary verification of your document. The original will be untouched and the translation will be bound by a certified notary's copy. Send us the document to be translated by email and specify if you need a regular or verified translation, the deadline and other requirements If you need to verify it, please send us the original physical document or its notarial verification by post. Your translation will be ready in a few days depending on the scope and will be sent to you by post.